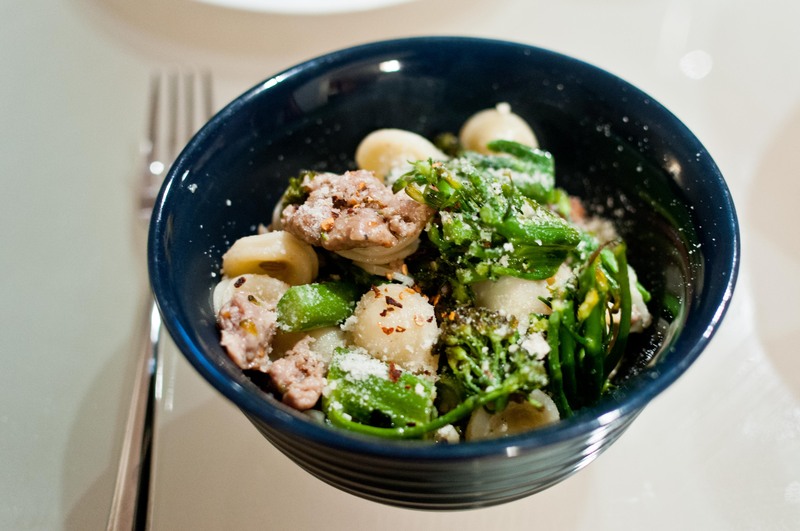 JL treated me to dinner tonight at her place, sweet Italian pork sausage and broccolini with orecchiette. We battled to separate the little lobes of orecchiette that clumped together in the water but only came to partial victory in the end. No matter though, with a healthy sprinkling of parmeggiano-reggiano and hot pepper flakes, we were both pretty pleased with the delicious result.